The above line is very well said by Warren Buffett, which can be explained as due to the eye-popping returns of stocks all the retail investors are here in the market today because they are aware of the fact that past performance does not guarantee future success. But can one drive a car by just by seeing the rear-view mirror? No, a driver should always try to look beyond the windshield, as even the bluest of the blue chips can lose its sheen at the drop of a hat in this ever-changing market. Mutual Funds which face the test of the time and deliver strong returns across various challenging market cycles become favourites of investors. Among these mutual funds, an investor can’t deny to think and invest in the best scheme offered by the SBI Mutual Fund, i.e., SBI Magnum Multiplier Fund. The scheme was launched in 1993 and has delivered outstanding returns by continuously beating its benchmark (S&P BSE Large Mid Cap). It has the AUM of Rs. 1500 Cr. and is successfully managed by Saurabh Pant. The fund has outperformed its benchmark and peers over the last decade. With the spam of 10 years, the fund has delivered the returns of 14.62%, on outperforming its benchmark, i.e., 10.46% and the average return of the category, i.e., 13.17%. It has given 29.88% trailing return in 3 years and 18.57% in 5 years as on June 15, 2018. In 2015-2016, the returns of the fund were 11.05% and 7.19%. The portfolio of the fund is concentrated more towards large-cap stocks. The large-cap stocks consist nearly 63% of the portfolio, whereas the mid-cap and small-cap stocks comprise the remaining 27%. When it comes to sector allocation, the portfolio has shown a bias towards cyclical sectors like Banking and Financial Services (22%), Automobiles and automobile ancillaries (8%), Oil and Gas (11%), etc. SBI Magnum Multiplier Fund has beaten the diversified category (flexicap) funds in the performance of trailing returns. The 3 year standard deviation of the Flexicap Funds category is 16.8%, whereas that of SBI Magnum Multiplier fund is only 13.3%. Therefore, as per the risk-adjusted returns, as measured by Sharpe ratio, the fund has outperformed the diversified Flexicap funds category. Conclusion- SBI Magnum Multiplier Fund, has completed 22 years of its astounding performance. It is most-suitable for the investors who are looking for a long-term investment in order to fulfil their long-term financial objectives such as retirement planning, children education, etc. 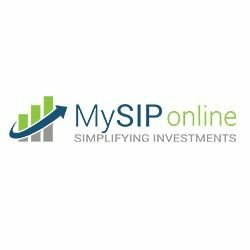 They can even consult the experts at MySIPonline for seeking guidance on investing in this fund before taking their investment decision.